Bobbi, I assume, is the name of the little dog in the picture. 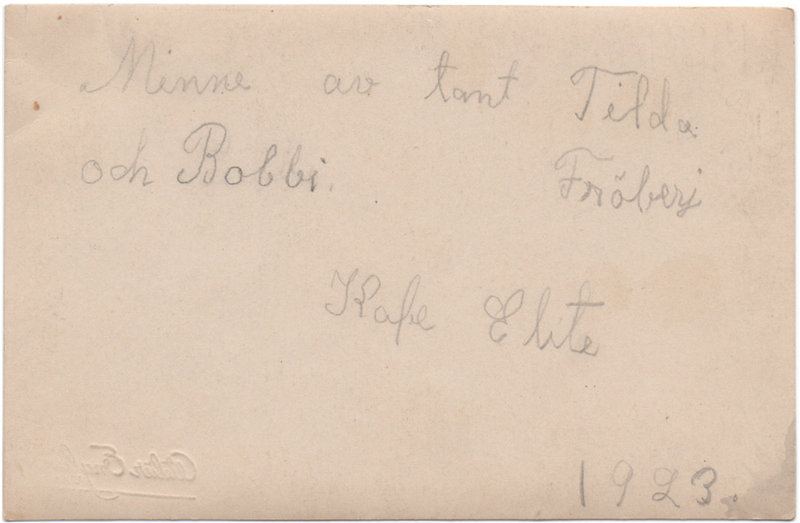 No information is known about aunt Tilda, except for her name (whoever wrote the text spelled it wrong; the name should be “Fröberg”), and I can’t find out anything about the mentioned Kafe Elite, either. 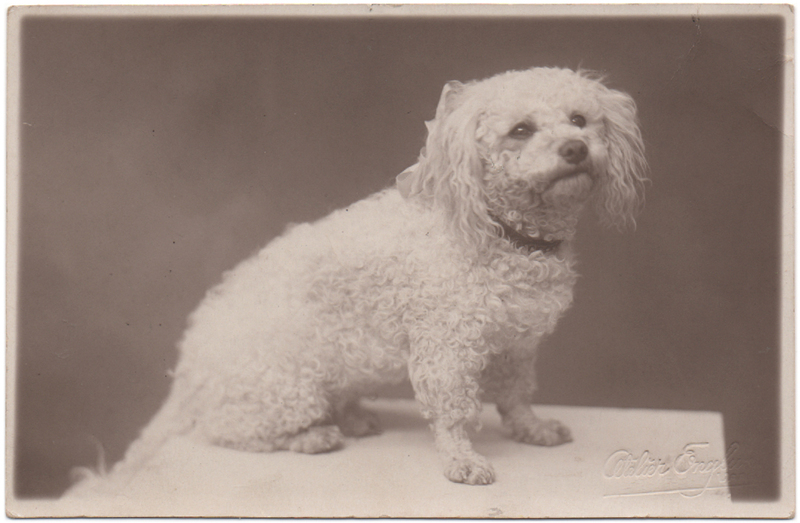 The year 1923 is mentioned, and I assume this was when aunt Tilda gave this photograph to someone to keep as a memory. It also suggests the photograph has been taken in the early 1920’s. The name of the photography studio has been pressed into the corner of the photograph. The words “Atelier Englu” and below it, the letters “UPP” (or “UFF”?) are visible, but it certainly looks like some of it is missing. It could be that the photograph has been taken at Atelier Englund (owned by photographer C.J. Englund) in Vaasa, Finland, but I am not certain – perhaps the mysterious “UPP” actually stands for “Uppsala”, which would mean the photo is originally from Sweden.